Sixteen-year old Anna Sullivan is having terrible dreams of a massacre at her school. Anna’s father is a mentally unstable veteran, her mother vanished when Anna was five, and Anna might just chalk the dreams up to a reflection of her crazy waking life — except that Tyler Marsh, the most popular guy at the school and Anna’s secret crush, is having the exact same dream. Despite the gulf between them in social status, Anna and Tyler connect, first in the dream and then in reality. As the dreams reveal more, with clues from the school social structure, quantum physics, probability, and Anna's own past, Anna becomes convinced that they are being shown the future so they can prevent the shooting… If they can survive the shooter — and the dream. This is a very dark book. It is also really good and it keeps you on your toes from the first to last page. 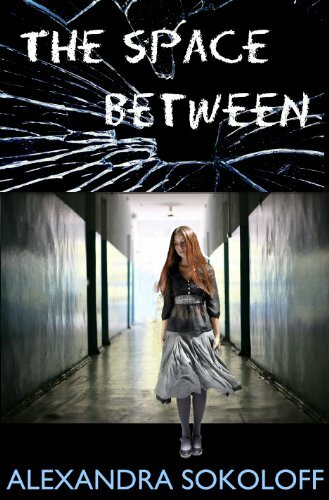 This book is the first paranormal thriller that I´ve read and I loved it. you get sucked in the story and you just want to know more. There is also love or maybe it is rather attraction we a re talking about here, between Anna and Tyler. My only wish, is for the story to be longer, I did not want it to end so quickly. I really like Anna´s character. She is such a lovely girl. An outcast yes but with a very strong mind. And she does continue to be more and more sure about herself through out the book . She takes the step and stands up for herself and I love that. It was a really thrilling end so I am glad that the Author is planning on a squeal! If you want to read a thrilling story then this is the book for you, it really was great! An e-book of this book to one of our followers, just fill out the form below. Wow, this looks great. What struck me first was her mentally unstable father who's a veteran. That's so common these days (and some in the past!) The romance sounds intriguing, and who doesn't like a dark book once in a while?